So you’re having a gal pal or two over and you want to give them a sophisticated experience, how about a simple light spring sampling? 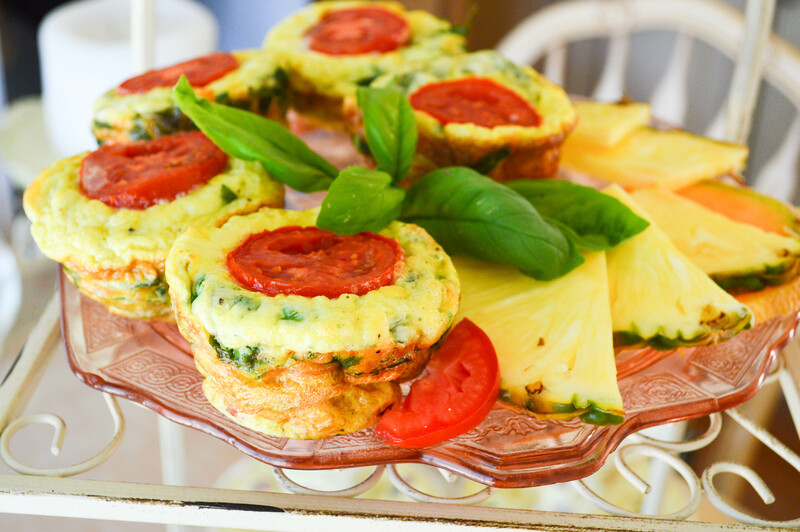 Our go to for simplicity and versatility… Frittatas! 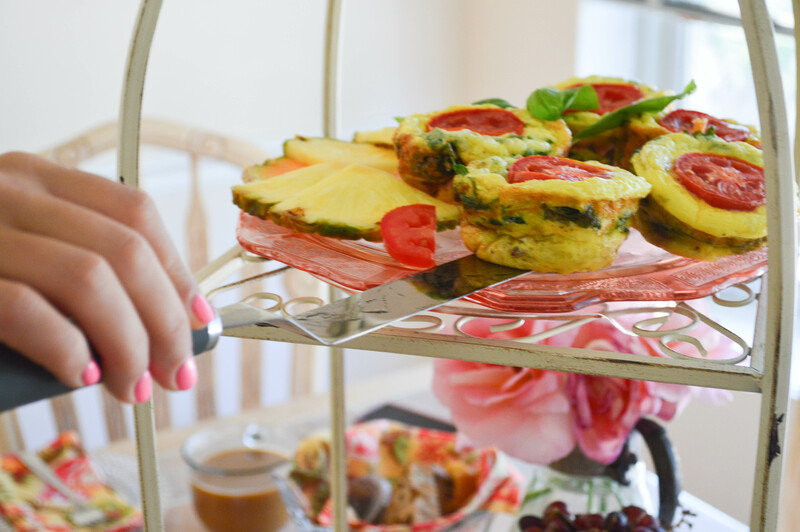 Make omelet batters using different fix’in combos, pour the batter in non-stick or greased cupcakes pans and bake! SIMPLE and Polished for Pennies!!! 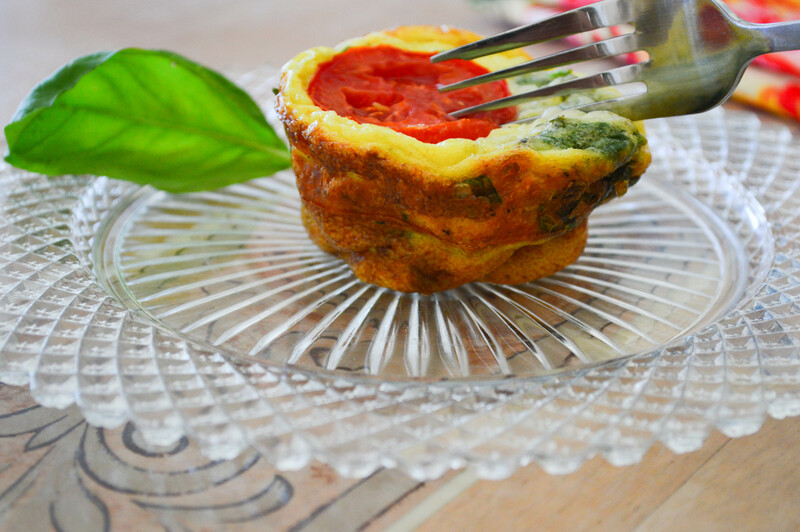 We used sun-dried tomatoes, basil, spinach, cheese and fresh tomatoes. But you can make whatever you like with ingredients you buy, or the way we do it… with whatever ya got in the fridge and freezer! Gals it’s EASY, you’re just makin’ eggs! By having your guests sample different minis, it makes entertaining fun, not complicated or stuffy! It keeps the ambiance light and your guests feeling just right. Pretty plates and cloth napkins add that dose of weight and texture. 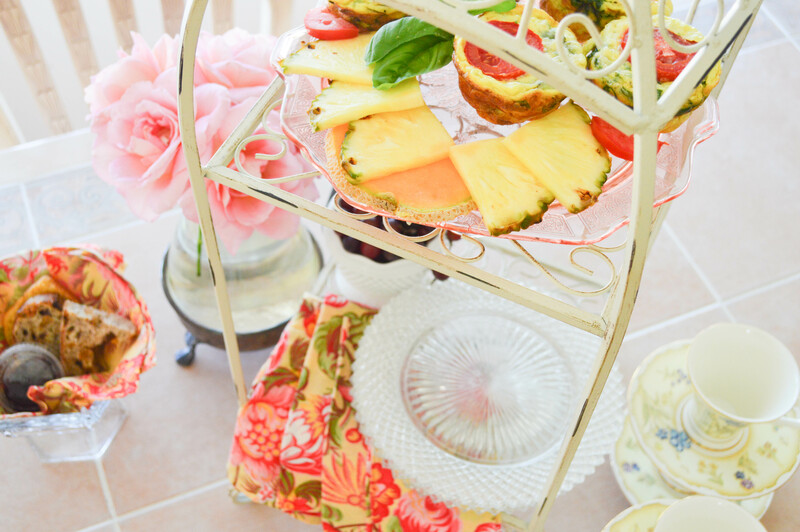 By staking items on your table and spreading the love around your serving area, your table will feel abundant and your guests will want to jump right in. We also displayed some assorted fruits and breads, with spreads and butters. The beauty of this… it’s easy peasey, and practically fool-proof! Fresh flowers… NEVER FAKE. Buy what’s cheap and make it work… herbs can also be great! Don’t forget the coffee, bubbly, or tea and you’re READY!